ISLAMABAD: Renowned film actress Resham has exposed dubious claims made by the singer Meesha Shafi against Ali Zafar. She questioned sexual harassment allegations against Ali Zafar asking how it is possible for the women who were harassed to not retort. "How can it be true that Ali Zafar harasses a woman and she doesn’t slap him back, hit him with a shoe, push him away or complain to his wife?" the actress said as she broke her silence on Pakistan's first high-profile #MeToo case. 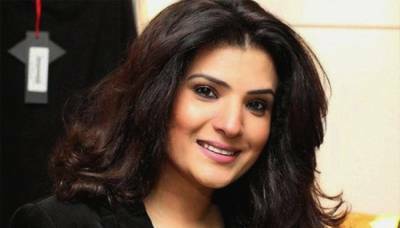 In thecommentsthat she made on Geo News' programme *Capital Talk*, Resham cited her 20-year-long acquaintance with Ali Zafar for her stance that left many stunned. "I have known Ali Zafar for 20 years; he is someone who gives a lot of respect to others… who gives respect to women," she told host Hamid Mir. "Ali cannot do such a thing [harass a woman]," she said, explaining her viewpoint on the accusations that actress-musician Meesha Shafi has levelled against Zafar. "Ali knows thedifference between friendship and harassment. He cannot do such a thing." Last week, Shafi took to Twitter to publicly accuse Zafar of physically harassing her on "more than one occasion".